Goliad Uprising. dir. Paul Bright, 2012. Starring Shannon Lark, Aaron Weisinger. The time has come. 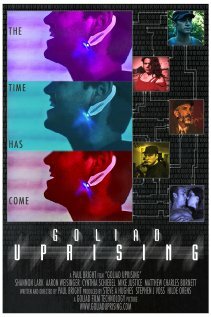 An underground group try to stop the Goliad Corporation from taking control of the government with their latest technology device that subversively brainwashes Americans. 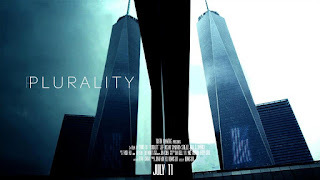 A politically charged sci fi drama about mass media’s powerful influence on our minds and how easily we are manipulated to support those in power. These are not my words, but the description of the film Goliad Uprising on the film’s Facebook page. It sounds good, eh? You picture an action-filled science fiction film with dark political undercurrents, an intelligent story with surprising twists, a film you wouldn’t hesitate to choose if you are fond of science fiction, especially intelligent science fiction. Well, I hate to say this, but you are going to be rather disappointed. I don’t like to give a film a bad review and rip it apart, and especially not an indie film, because I know how hard work it is to make a film on a low budget and how much enthusiasm it is on the film set, but this film does not deliver what it promises. Plurality, dir. Dennis Liu. Traffik Filmworks, 2012. Starring Jeff Nissani, Samantha Strelitz. 14 minutes. 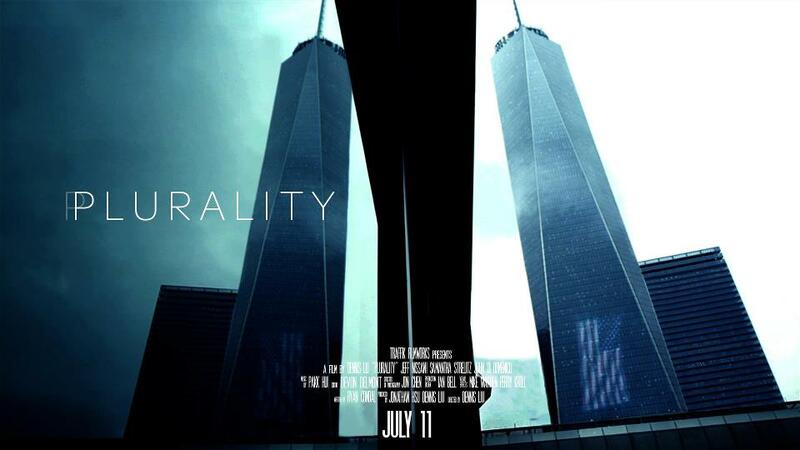 Plurality, by director Dennis Liu, is a slick futuristic indie-short with high production values and a gripping and fast-paced plot. Set in 2023, New York is an incredibly secure and crime-free city. This is principally thanks to the Bentham Grid, a system where all your personal information is tied to your personal DNA and both are able to be traced via contact with nearly every surface in the city. This advanced biometric system, epitomising the notion of an ‘ultimate social network’ essentially rules out the need for cash or ID as a thumbprint will buy you a coffee, pay your bills and even open your car. While this creates a society that is incredibly secure, it raises various privacy issues that has led to underground movements decrying a ‘Big Brother Bentham’. 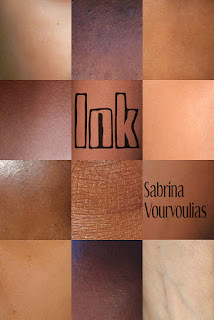 Sabrina Vourvoulias, Ink. Crossed Genres Publications, 2012. Pp. 234. ISBN 978-0615657813. $13.95 print/$5.99 e-book. Ink, the first novel by American and Latina journalist and writer Sabrina Vourvoulias, published by the successful and progressive small press Crossed Genres Publications, is an ambitious book. Telling the story of a wide group of protagonists in an only slightly futuristic, and only slightly exaggeratedly dystopian United States in which residents and citizens with recent immigration history are literally branded on their skin to mark their suspect status, it ranges over time, space and magic in a story by turns horrifying, heart-breaking, beautiful, hopeful, frustrating and terribly believable. Vourvoulias’s writing is effortless and effective, uncannily capturing the voices of her disparate protagonists and narrators; not uniformly sympathetic, certainly not always nice, but lucid, convincing and consistent. In some ways the ambition of this novel outreaches the execution, but I’d much prefer that to an insufficiently ambitious work, and Ink is wonderful, worthwhile and certainly worth reading. 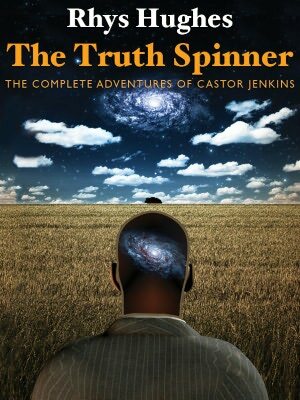 Rhys Hughes, The Truth Spinner: The Complete Adventures of Castor Jenkins. Wild Side Press, 2012. Pp. 260. ISBN 978-1-4344-4107-2. $14.99. The Truth Spinner: The Complete Adventures of Castor Jenkins is the latest short story collection from Welsh author and essayist Rhys Hughes. Previous works by Hughes include The Coanda Effect and The Postmodern Mariner, both of which tie into The Truth Spinner, as well. The stories in this collection are all related, being stories Castor Jenkins tells his closest friends, Paddy Deluxe and Frothing Harris. Most of the stories involve Castor’s friends buying him beer or whiskey, either to keep him going, to shut him up, or just because people don’t know what else to do.